"Photographs were first reproduced making acetone transfers from laser prints. 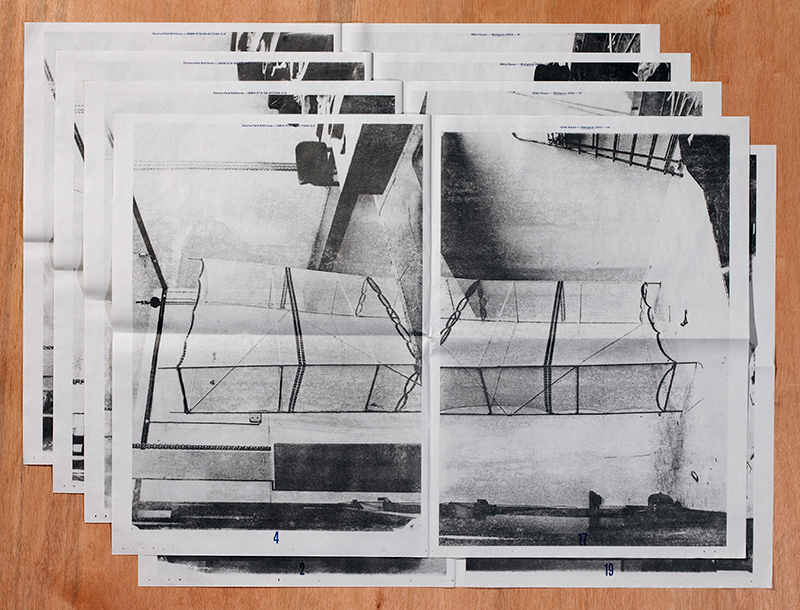 The best results were then scanned in high–res, keeping all the irregularities of the transfers. 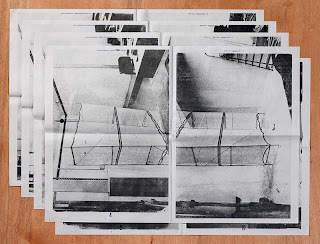 Five A1 posters printed front and back, folded inside each other into a broadsheet newspaper."